I have spent much of my artistic life encouraging the viewer to pay a little more attention to the world. We ignore the world, especially the natural world, at our peril. 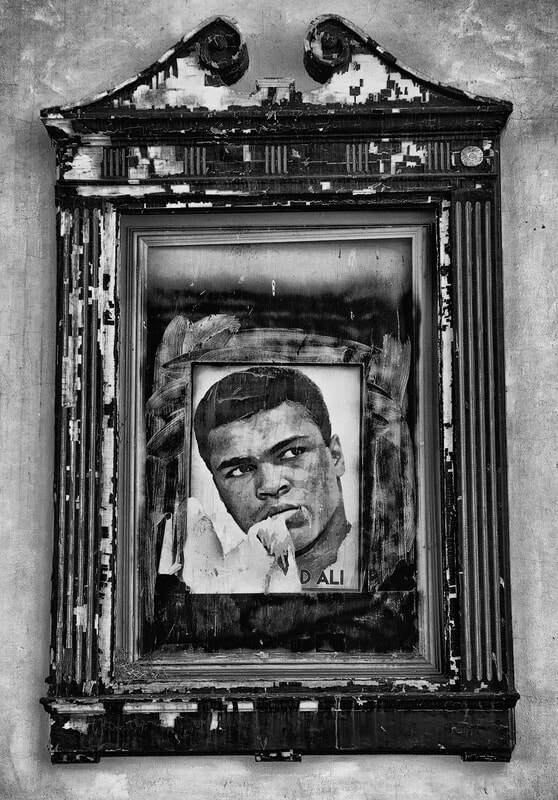 To this end I have drawn on paper, painted on canvas, taken photographs, and painted on photographs to inspire wonder in the everyday. Five years ago, I entered the world of infrared photography, and with it I can share the familiar nature of the photographed image with the surprises of infrared vision. In infrared, the familiar is not so familiar and so it inspires deeper discovery. With infrared photography, live green foliage and grass reflect infrared rays, and thus appear white or very light gray. Blue skies and deep water absorb infrared rays, so they appear black. While I have been photographing in infrared for some time now and know these basic rules, there is still a mystery to the medium which I love. I never quite know how the picture is going to appear until I click the shutter. Perhaps it is a throwback to the days when I worked with film, when one had the excitement of waiting for the developing process to see how the photograph would turn out. I have been a dedicated photographer since inheriting my father’s Argus C3 rangefinder camera in high school. In graduate school at the University of Michigan, I studied with photographer Joanne Leonard, who encouraged me to combine photography with drawing, painting, and collage. After the completion of my MFA degree in 1989, I pursued other alternative photography media, including Polaroid transfers. This medium again allowed me to combine drawing, painting, and collage with photography. In 2014, I began to shoot in infrared photography on a converted Nikon D50 digital SLR. I was inspired by the work of master infrared photographer Laurie J. Klein, and in 2015 took a workshop with Klein and her son Kyle Klein Perler. Currently, I am shooting with three different digital SLR cameras converted for infrared: a Nikon D50, a Canon T3, and a Canon 6D. Due to the different mechanics and different infrared filters on each camera, they produce images with different subtleties of value and, with the Canon cameras, some subdued color. I process each image in Adobe Camera Raw, Photoshop, and various Photoshop plug-in filters to bring it to its fullest potential of sharpness, clarity, softness, color, contrast, and value range, depending on what is most appropriate for the expressive nature of the individual image. I may spend hours processing a single image before finally saving and printing it. 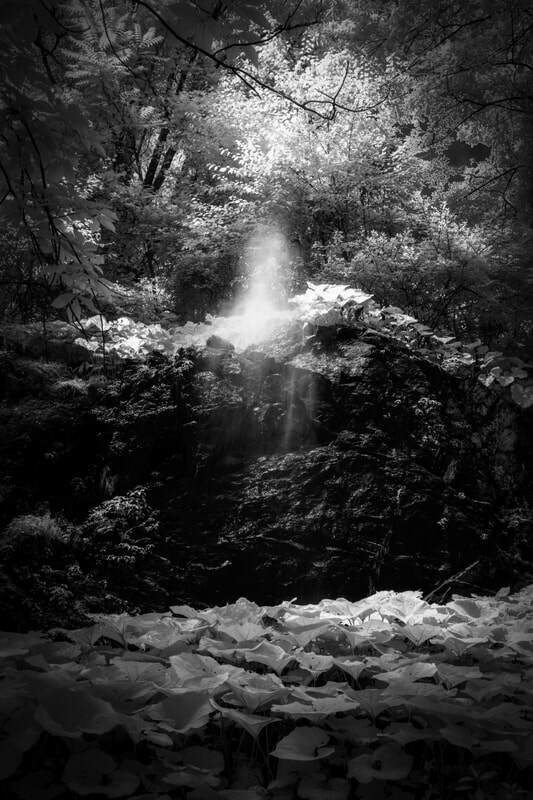 Innisfree Waterfall was selected in February 2018 as a $5000 First Prize winner in an art contest at Indian Mountain School in Lakeville, CT. Jurors were Craig F. Starr, Agnes Gund, and Sandra Boynton. 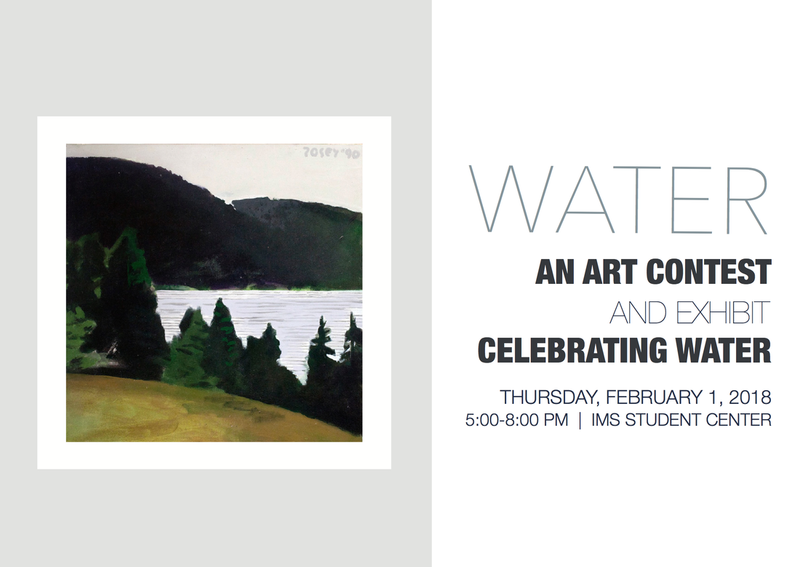 The theme of the exhibit was "Celebrating Water." The exhibit opened with a reception February 1 at the IMS Student Center. I photographed this misty waterfall at Innisfree Garden in Millbrook, New York in August 2017. Bereft Tree, Plunge Pool was chosen as a Finalist in the Photographer's Forum 38th Annual Spring Contest. It was published in the Photographer's Forum Best of Photography 2018. Ali, Hudson, NY was chosen as a Finalist in the Photographer's Forum 37th Annual Spring Photography Contest. It was published in the Photographer's Forum Best of Photography 2017.